There has been discussion in the wake of Patrick Sharp’s contract extension regarding whether or not he’ll play win or center primarily this season. 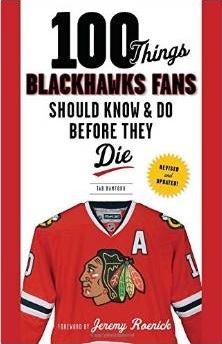 Certainly the center position is perhaps the biggest – and only – question mark heading into the 2011-12 season; how coach Joel Quenneville fills his four center spots will determine a great deal this season. But beyond this year, the center position shouldn’t be an issue in Chicago. Since 2007, when the Hawks selected Patrick Kane with the first overall selection, ther has been a consistent theme throughout the drafts: the center position. In 2009, five of the team’s eight selections were centers. Brandon Pirri, Byron Froese, Marcus Krüger, David Pacan and David Gilbert were all selected in that class, and Hawks fans could see at least Pirri, Froese and Gilbert in Rockford this year, while Krüger could be in Chicago. In 2010, the team “officially” selected three more centers. Joakim Nordstrom, Rob Flick and Mirko Hofflin were picked in that draft, but the team’s first round pick, Kevin Hayes, indicated at this summer’s prospect camp that he will play some center at Boston College this winter as well. 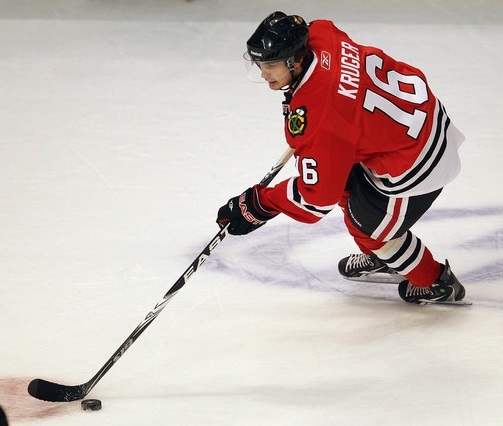 Flick has signed a one-year deal with the IceHogs for the 2011-12 season. In this year’s draft, the Hawks picked three more centers. Top pick Mark McNeill (who has also played wing), Andrew Shaw and Alex Broadhurst add to the organization’s depth up the middle. Like Flick, Shaw has signed a one-year contract with the IceHogs. These 11 centers back up the fundamental belief of Blackhawks brass that versatility is critical for any roster. There could be as many as eight players that could play center on the roster in Rockford this season. While (obviously) not all eight will play center, being able to competently take a faceoff is an important part of the game. Beyond Toews, Patrick Sharp and Dave Bolland, the Hawks have used a handful of centers as specialists over those season. Robert Lang, Adam Burish, Yanic Perreault, Sami Pahlsson, Colin Fraser, John Madden, Jake Dowell and Ryan Johnson are just a few of the men that have been a regular at the dot in Chicago over the last four years. By drafting, and continuing to develop players at the center position, the Chicago Blackhawks are showing an organizational commitment to the position. They are also working towards a day when in-season additions like Johnson and Pahlsson aren’t needed. Even with new-found salary cap flexibility, the Hawks shouldn’t have to make a deal to rent a center for the better part of the next decade.